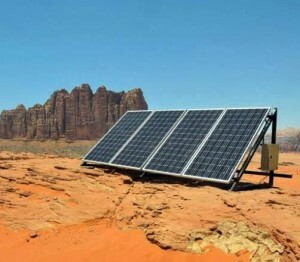 Jordan has embarked on a package of measures to encourage “green growth in the environment” aimed at benefiting from local energies and reducing dependence on costly imports, a World Bank (WB) report has underlined. The ultimate goal is to create decent jobs in a country suffering from rising unemployment and low economic growth rate of only 2.3 per cent in 2017, noted the Jordan Economic Monitor report, which was released a ceremony held in Amman, hosted by Abdul Hameed Shoman Foundation and co-sponsored by the Ministry of Planning and International Cooperation and the World Bank. A statement by organisers of the event and the report was e-mailed to The Jordan Times. The report stressed that regional unrest, especially in Syria and Iraq, is still the main factor behind the downturn of commerce in the Kingdom. These external shocks have contributed to the slowdown in economic performance in Jordan, which was only 2 per cent in 2016, compared with the growth rate in the Middle East and North Africa (MENA), which was 3.2 per cent for the same year, according to World Bank figures. The government has recently launched its economic growth plan in Jordan, which aims to double the rate of economic growth during the period 2018-2022. Last month, it also launched the National Green Growth Plan, which focuses on energy, water, waste, transportation, tourism and agriculture. During the ceremony, Planning and International Cooperation Minister Imad Fakhoury, in a speech delivered on his behalf by Ziad Obeidat, the ministry’s acting secretary general, said that the government is continuing to implement reforms in the water, energy, waste, transport, tourism and agriculture sectors by addressing challenges, particularly those related to financing, attracting foreign investment and supporting national institutions to access international funds such as the Green Climate Fund, in addition to enhancing the public-private partnership. 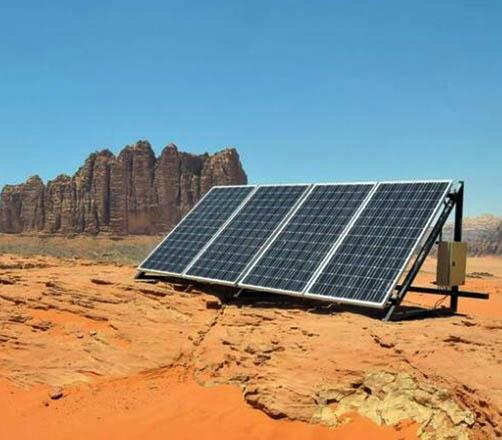 In the spring of 2015, the Kingdom launched the “Jordan 2025 document”, which covered resources security and management, especially water, energy and food security. The 2017 National Green Growth Plan aims to encourage the public and private sectors towards investment through a green economy within the framework of holistic and sustainable growth, according to the statement. As for the second part of the WB report, which focused on assessing how the welfare of households is affected in the short term by the electricity and water tariff reforms implemented between 2010 and 2016, the impact, it said, was still limited and expenditures on electricity and water were still modest according to international standards. The report noted that despite the high growth rates achieved by the Jordanian economy at the beginning of this century, it has created few new jobs, which means that many people of working age are not economically active and most of the newly created jobs were low-paying and low-skilled jobs, and have gone to expatriate workers. The minister said that regional conflicts have had a direct impact on the Jordanian economy. The average domestic GDP rate for the years 2006-2010 was 6.5 per cent compared with 2.6 per cent in 2011-2016, and the unemployment rate among young people reached 35.6 per cent compared with 30.8 per cent in 2015. The official figures of unemployment are almost half that. In the first quarter of the year, unemployment soared to 18.2 per cent, rising by 3.6 points compared with the same period in 2016, the Department of Statistics said on May 30. The number of Syrian refugees in the Kingdom has reached 1.266 million, according to the results of the 2015 Population and Housing Census, of whom 656,000 are registered with the UNHCR. They constitute 13.8 per cent of the total population in the Kingdom, and about 89 per cent of them live in the cities and villages, the statement said. “The newly launched Jordan Economic Growth Plan for the years 2018 to 2022 bodes well to stimulate some reforms,” said Lea Hakim, the World Bank Economist for Jordan, and co-author of the report. Hakim added that enabling the achievement of the Green Growth Plan requires further analysis to design public policy in line with macroeconomic and fiscal objectives and strengthening private sector engagement. “The Ministry of Finance has a leading role in this regard in adopting climate-smart fiscal policies and mobilising climate finance”, Hakim noted.